Tuesday 9:00 a.m. 6:00 p.m. 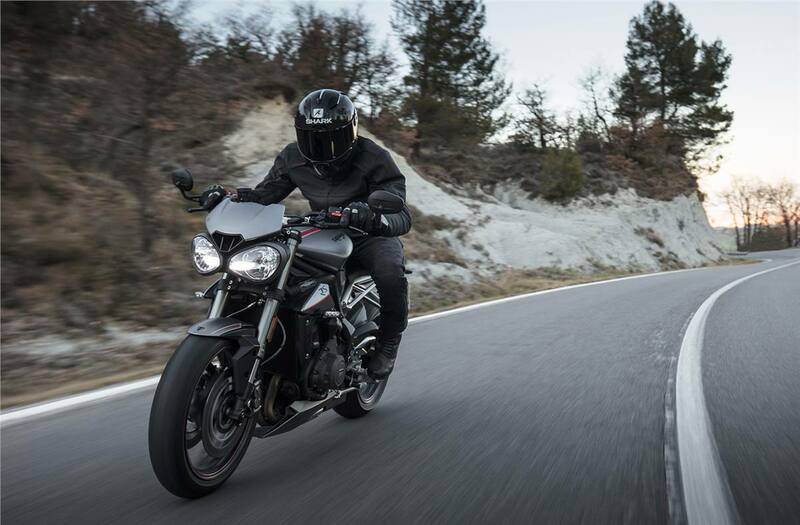 The range topping new Street Triple RS is the most explosive and adrenaline charged Street Triple we’ve ever built. 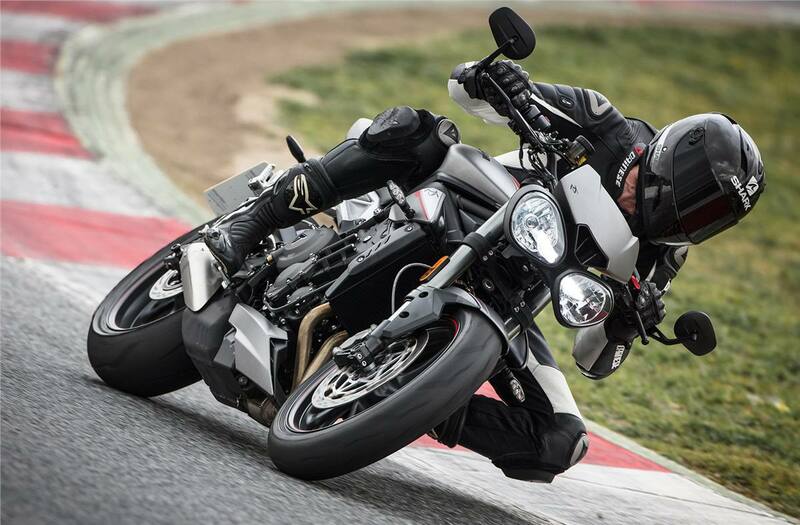 At home on the track, and a weapon on the road, it literally tears up the rulebook and sets a whole new standard. 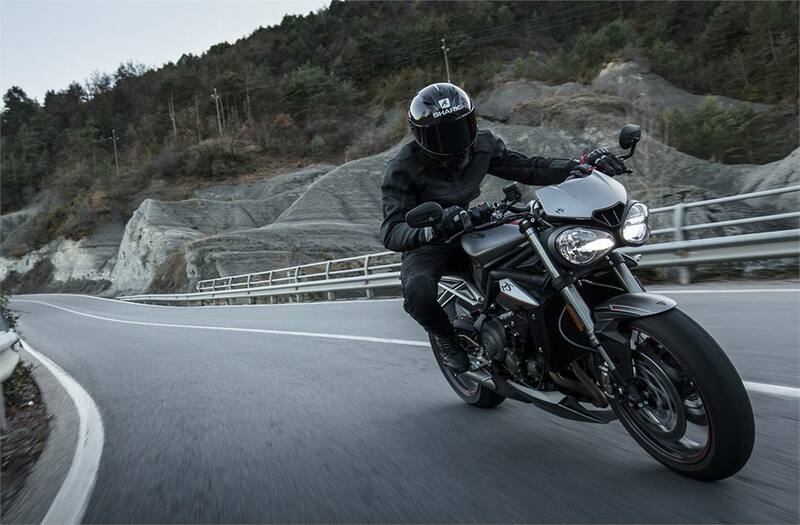 Taking the specification to the highest level its additional features include the most powerful engine in the family with up to 16% more peak power than the previous model at 123PS @ 11,700 rpm, Brembo M50 monobloc front brake calipers, fully adjustable Showa ’big-piston’ forks, Öhlins STX40 fully adjustable rear monoshock, an additional ‘track’ Riding Mode, lap timer, quickshifter and Pirelli Diablo Supercorsa SP tyres. 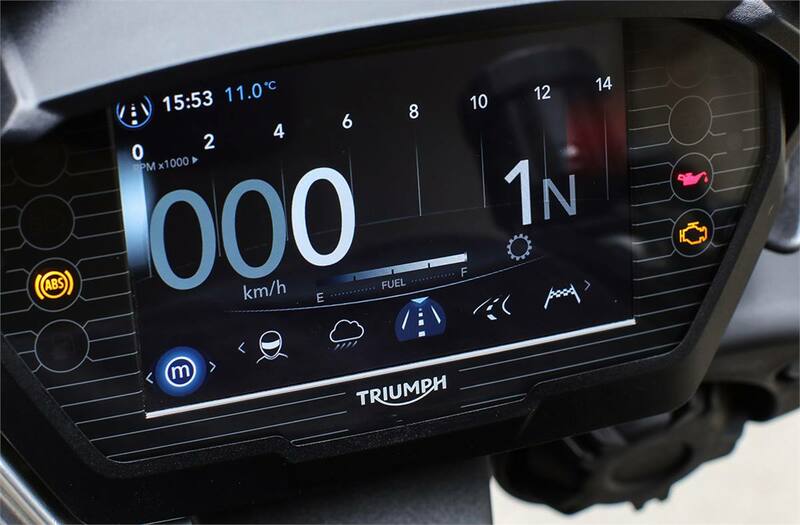 Full-Colour TFT Instruments: Angle-adjustable full-colour 5” TFT screen, with three display styles to choose from, altering the layout of information linked to the riding modes. 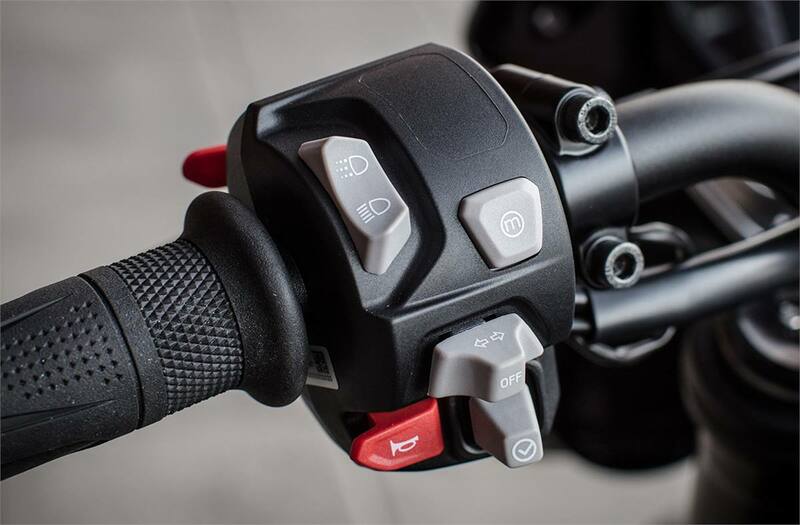 Switchcubes and 5-Way Joystick: The RS model has new switchcubes with an intuitive 5-way joystick control that have all been ergonomically optimised to be easy to use – either on the move or at a standstill. 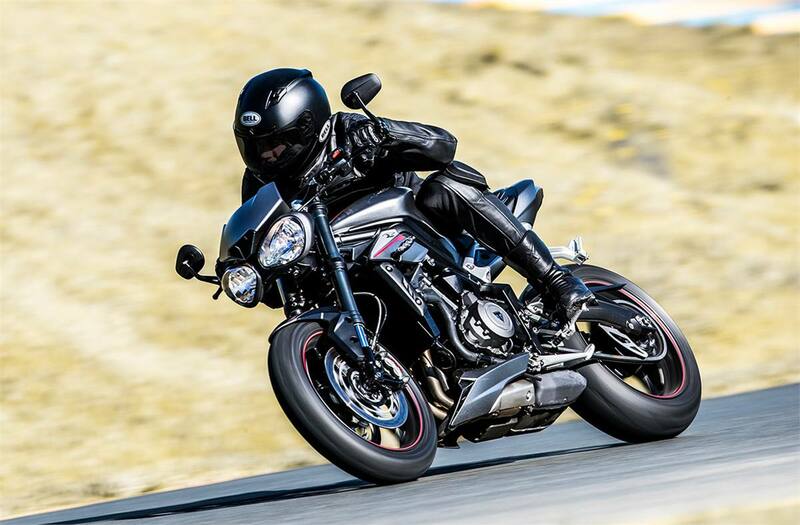 Five Riding Modes: Adjust throttle response, ABS, and traction control settings at the touch of a button. 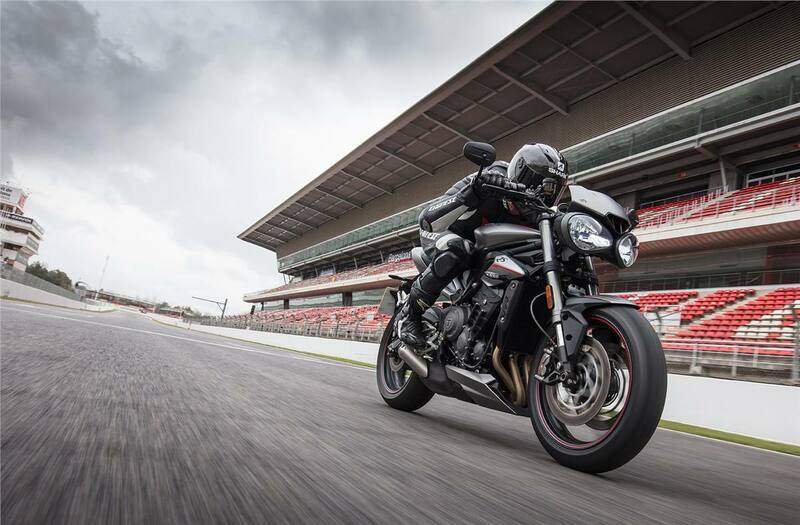 The Street Triple RS delivers the highest level of specification with 5 modes; Road, Rain, Sport, Rider Programmable, and Track. 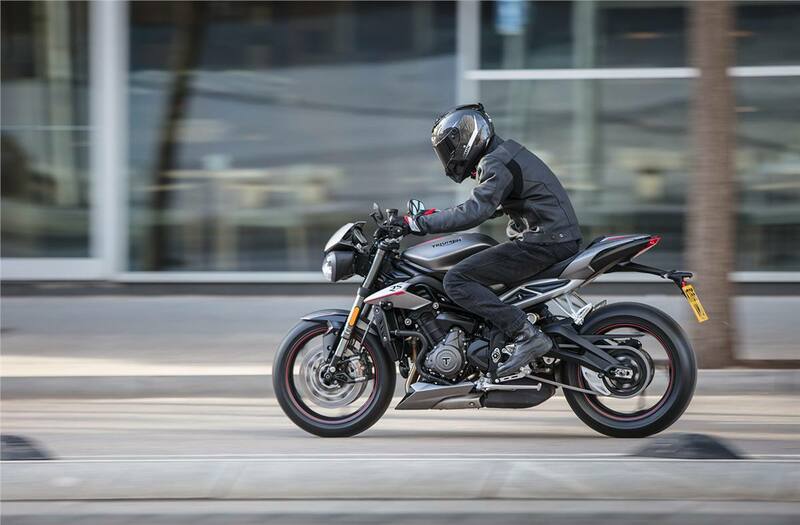 ABS and Switchable Traction Control: ABS brings a new level of control to the RS, while switchable traction control manages both power and torque when the traction is compromised, maximising rider safety and control. 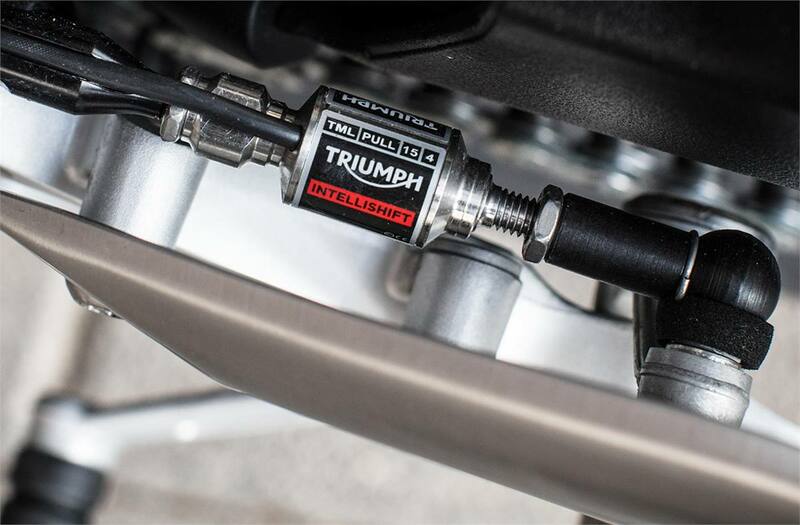 Quickshifter: The new RS model is fitted with a quickshifter, allowing for clutchless upshifts of up to 2.5x quicker than a skilled rider using a standard clutch upshift. 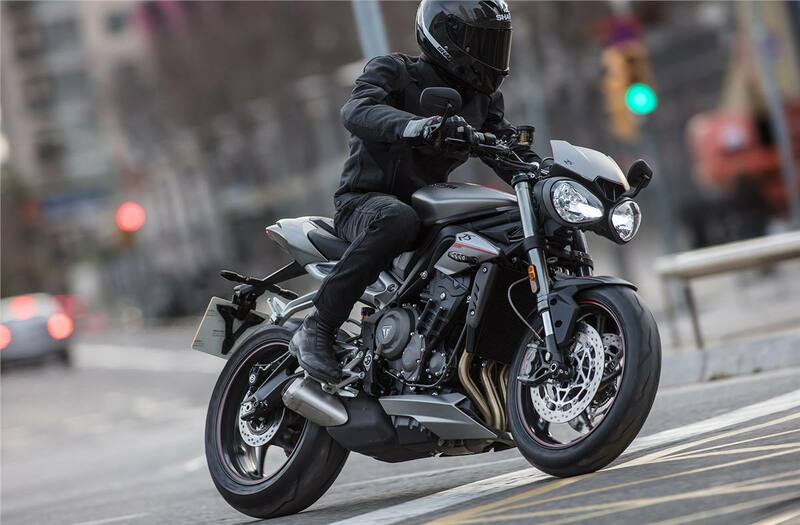 Ride-By-Wire: Crisp, precise, and accurate throttle response, with improved on/off throttle transition enabling different throttle maps, which combined with the ABS and traction control settings give 5 selectable riding modes. 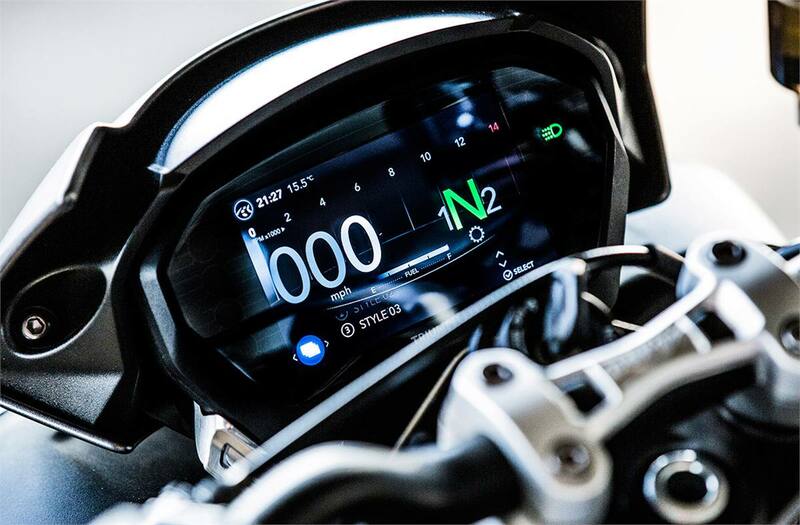 On-Board Computer: Key information includes speedometer, rev counter, riding mode, gear position, fuel gauge, odometer, trip meter, journey distance, trip displays, fuel consumption, range to empty, and (exclusive to the RS) lap timer. DRL Headlight: Distinctive LED Daytime Running Lights* (DRL) offer a new eye-catching light profile with a lower energy consumption for greater long term durability. 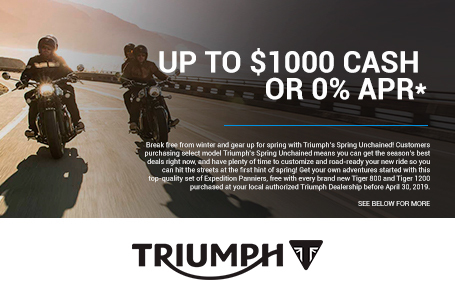 (*local market restrictions may apply). 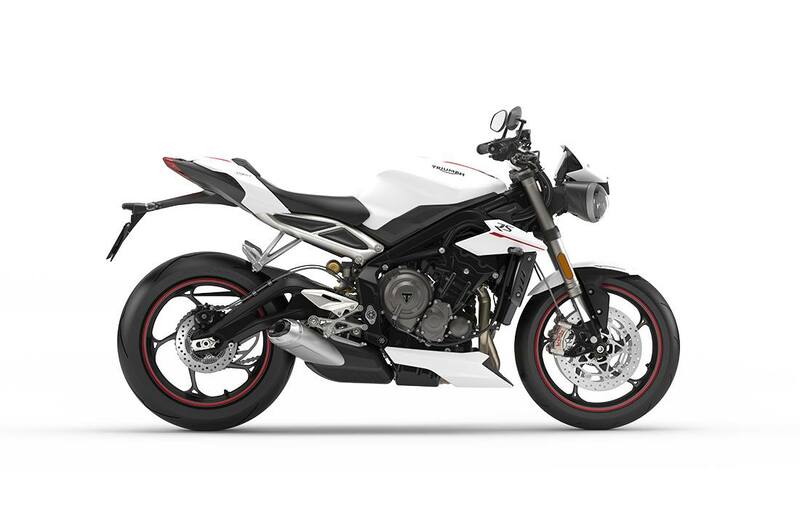 High Specification Suspension: Developed and tuned specifically for the RS, the Street Triple offers higher specification fully-adjustable Showa big piston front forks, and rear fully-adjustable Öhlins piggyback reservoir monoshock RSU. 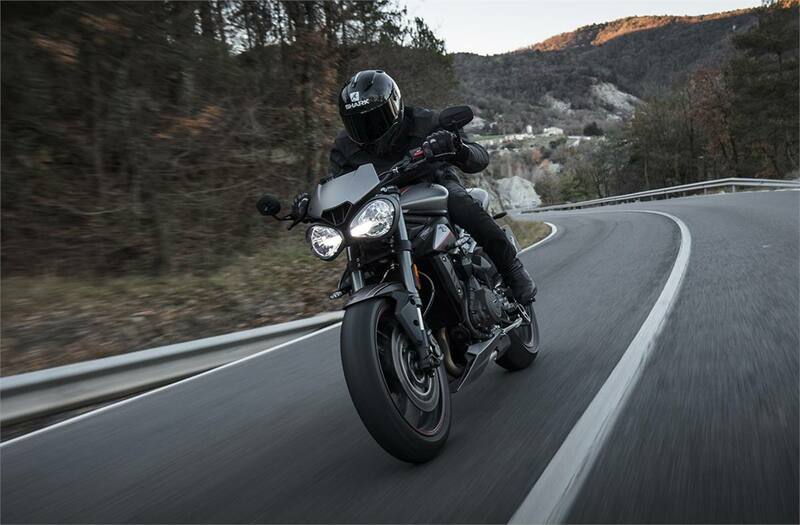 High Specification Wheels and Tyres: The highest-specification Street Triple RS comes with range-topping Pirelli Diablo Supercorsa SP tyres that deliver advanced sporting performance for road and the occasional track use. 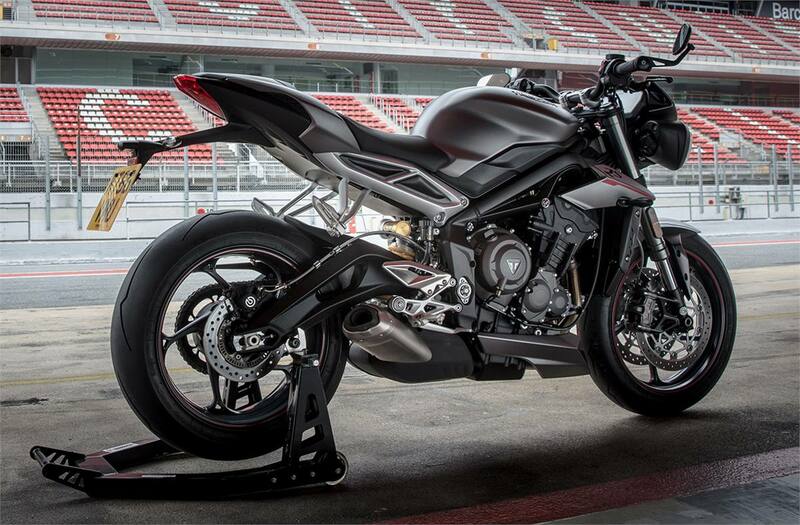 Rear Suspension: Ohlins STX40 fully-adjustable piggyback reservoir RSU, 131mm rear wheel travel. CO2 Figures: EURO 4 Standard: 115 g/km. **CO2 and fuel consumption are measured according to regulation 168/2013/EC. Figures on fuel consumption are derived from specific test conditions and are for comparative purposes only. They may not reflect real driving results. 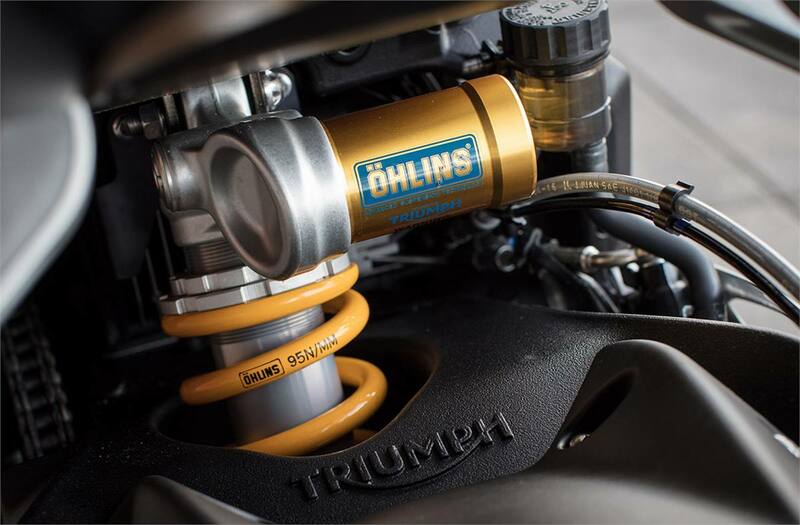 Ohlins STX40 fully-adjustable piggyback reservoir RSU, 131mm rear wheel travel.